Healthy customer relationships are the key to your business’s success, which is why customer relationship management is so important. Using CRM software can help your business take sales efficiency and customer satisfaction to all new heights. Customer relationship management software can help your business manage a number of customer interactions. From automating and organizing sales to streamlining the customer service, tech support, and marketing process, it’s no wonder more and more of today’s businesses are using CRM. Marriott – As one of the world’s largest hotel chains, Marriott was an early adopter of CRM software and still uses it today. In fact, Marriott uses CRM to track and centralize conference room availability across all of its locations. This allows the hotel chain to better market to business groups and conference vendors. Birchbox – As a leader in personalized beauty boxes delivered to customers’ doorsteps, Birchbox has to have its customer management under control. That’s why the online cosmetics retailer uses CRM to track the contact information of all its customers. By doing so, Birchbox increased subscribers from 600 to more than 400,000 in just three years. Boise Office Solutions – Information technology and service provider Boise Office Solutions has millions of customers across the nation. In order to keep track of contact information, Boise uses CRM software to combine nearly 2.2 million customer records from different locations into one database. This helps the company serve its clients more efficiently. 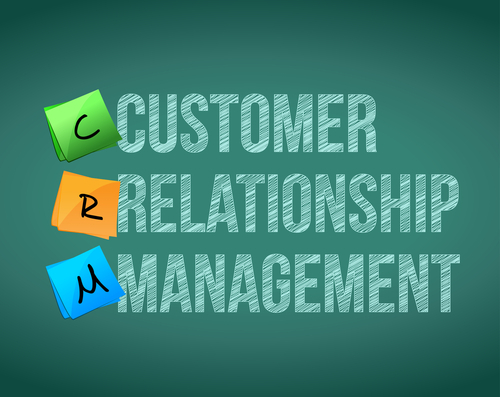 As the following article looks at, don’t let CRM implementation killers get in the way of using customer relationship management software within your business. Besides, the benefits of CRM are well-worth the implementation process. With CRM software, your business can improve customer satisfaction across all departments. CRM automatically and systematically tracks all your servicing and customer interactions. This helps your business pinpoint and solve customer issues faster. Because the CRM process is automated, you can rest assured that no customer is left behind. Customer relations efficiency like this helps increase customer satisfaction and brand loyalty. CRM doesn’t just help improve customer relations; it also provides vast insights on your business’s sales process. With CRM, your business can keep better tabs on your sales teams and their lead generation. Likewise, CRM can give your business a firsthand look at closing sales statistics, which directly correlates to your customers. Most CRM software is compatible with a number of different operating systems and applications. This is a huge benefit considering your business already has an established computer network in place. CRM software is also able to integrate with most social media sites including LinkedIn, Twitter, and Facebook. This makes it possible for your business to track customer and follower responses to your social campaigns. By doing so, your business can optimize its social media outreach. When your business is ready to automate the customer relations process, consider CRM software. About the Author: Adam Groff is a freelance writer and creator of content. He writes on a variety of topics including software solutions and customer relations.